We are delighted to announce the latest edition of the Journal of West African Languages. It is with deep sorrow that we announce the death of Jonathan 'Kablan' L. Burmeister who passed on in 2016. You can read his obituary/biography by Lynell Marchese Zogbo here. We are sad to announce the death of Prof. Kropp Esther Dakubu which occurred on 17th November 2016. You can read her obituary here. Adams Bodomo is the Chair Professor of African Languages and Literatures in the University of Vienna. He is the first black scholar to occupy such an exalted position in the University of Vienna and in all of the German-speaking world. He has been: Chief Series Editor of the African Language Grammars and Dictionaries (ALGaD Series), Language Science Press, Berlin; Associate Editor, Studies in African Linguistics; Editorial Board Member, Journal of African-American Studies; Editorial Board Member, International Journal of Learning and Teaching Technologies (Scopus-indexed); Editor, Human Language Technology in Multilingual Perspectives and much more. Prof Bodomo has published more than 65 Journal Articles and book sections. His contributions in Books and Monographs are numerous. I think we have one of our best in charge of our journal. 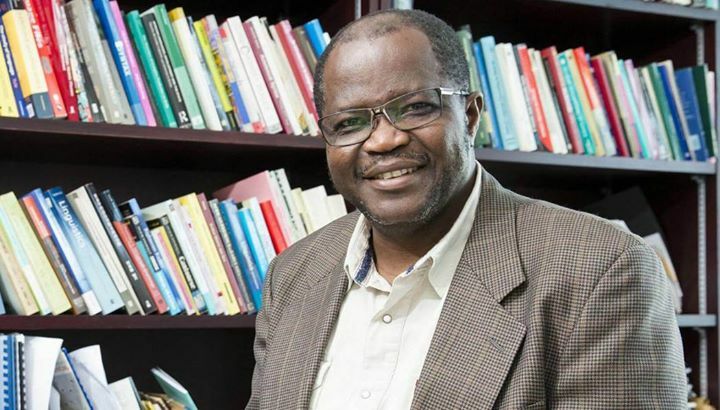 Prof Bodomo will be assisted by 4 other very experienced colleagues covering North America, Europe, Francophone West Africa and Anglophone West Africa. We congratulate the new JWAL Editorial Team and wish them good speed. We are please to announce that all past articles are now available for free download. Click on the Downloads tab and follow the links, or use the Search Downloads option to find articles on specific languages or language families, on a particular topic, or by a particular author. Contributors are asked to note that the formatting requirements for papers have changed. See the Contributor page for more details. The purpose of the Journal of West African Languages is to publish articles of good quality and interest in all aspects of language and linguistics that are relevant to the area of West Africa, which may be defined as Sub-Saharan Africa, extending into Central Africa. The Journal was founded in 1964 by the West African Linguistic Society, and has been in publication ever since, with gaps in 1972-73 and 1977-81. The editorial board comprises: Prof Dr Adams Bodomo (Editor), Prof P N M Mutaka (Associate Editor), Hasiyatu Abubakari (Assistant Editor), Prof Akin Akinlabi (Editoral Advisor), Prof Felix K. Ameka (Editorial Advisor), Prof Flavien Gbeto (Editorial Advisor), Dr Keir Hansford (Consulting Editor), Prof Beban S. Chumbow and Prof Dr H Ekkehard Wolff.